38 weeks into pregnancy and the ice cream cravings have finally hit hard. Vanilla Haagen Dazs with smashed Chocolate-Vanilla “Trader” Joe-Joe’s followed a solid week of Dr. Pepper floats. My birthday dinner at Purple Yam (Ditmas Park, Brooklyn) concluded with Halo-Halo, a Philippine iced desert with sweet beans, palm seed, cocogel, agar agar, coconut sport and jackfruit topped with flan and purple yam ice cream. Wowzers. Forget about 8-ingredient desserts at home. 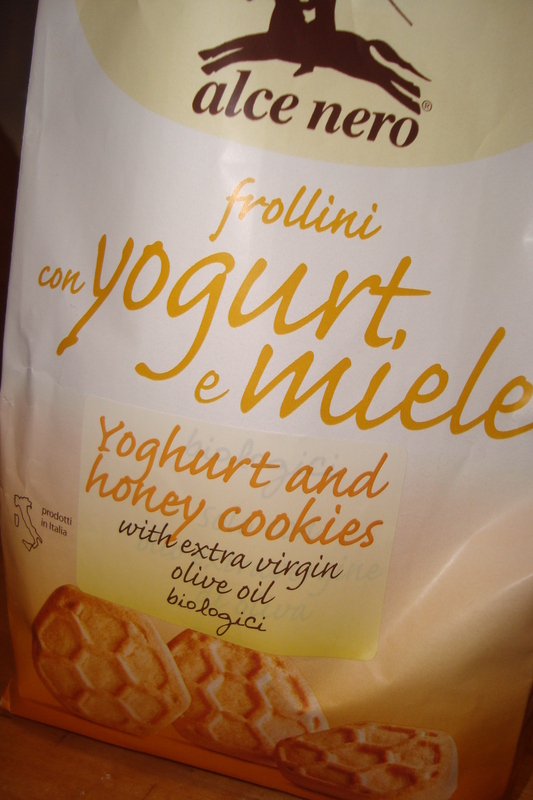 I whipped up the following (pictured) in 5-10 minutes from 1-2 ingredients. 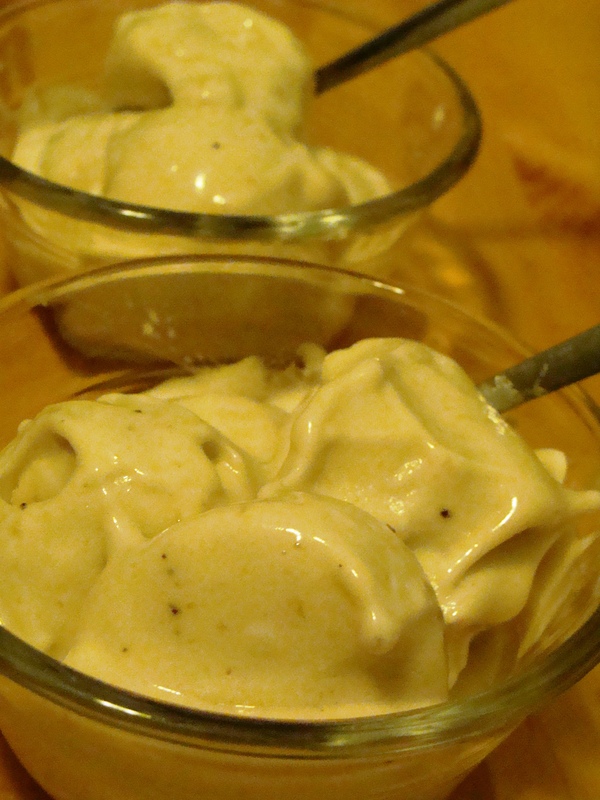 The Banana Ice Cream recipe has been floating around the blogosphere and I was psyched to puree something in the food processor other than my usual hummus. Strawberry and Fresh Mint Pops were an excuse to play with the Zoku Pop maker and experiment with homemade mint simple syrup. Not to mention, you can find teeming quarts of Jersey strawberries, 2 for $10, at most farmer’s markets in the area. And they are just about perfect. While still frozen, add banana slices to the food processor. Pulse until the bananas clump; using spoon, scrape banana clumps evenly around blade and continue to process until smooth. Magically, the clumps turn into a creamy, soft-serve-textured icy treat. Scoop and serve. In a blender, add strawberries and syrup and puree. Add water and puree until the mixture is thin enough to be poured into any ice pop molds. Pour into molds and freeze. 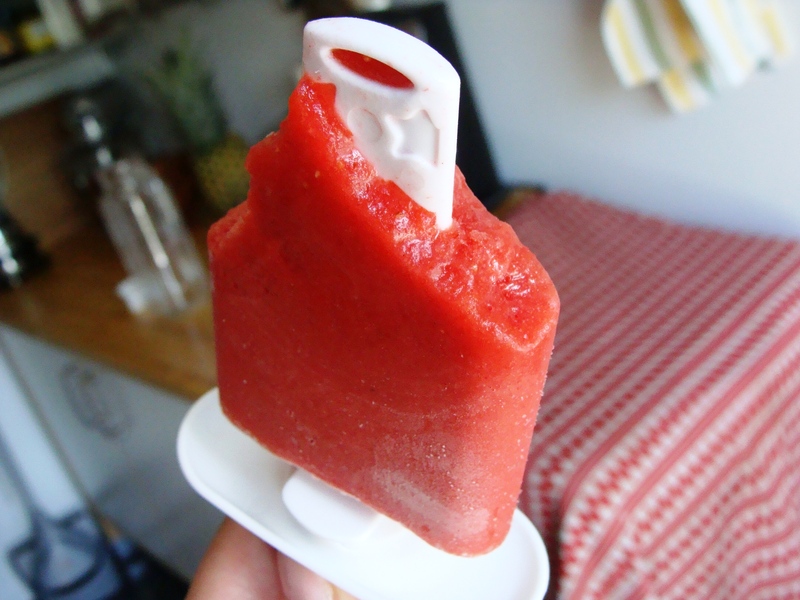 Pops frozen in the Zoku are ready to eat in 10 minutes. Mix sugar and water in small saucepan (2 qt) and heat over med-low while stirring until dissolved. Syrup is ready when it goes from cloudy to clear. Remove from heat. Rub mint leaves between hands for a few seconds to release minty oils. Add a large handful of mint leaves to the pan of syrup; submerge leaves with spoon and let steep 30-60 minutes. Remove mint leaves. Transfer syrup to a glass Pyrex measuring cup and let cool. 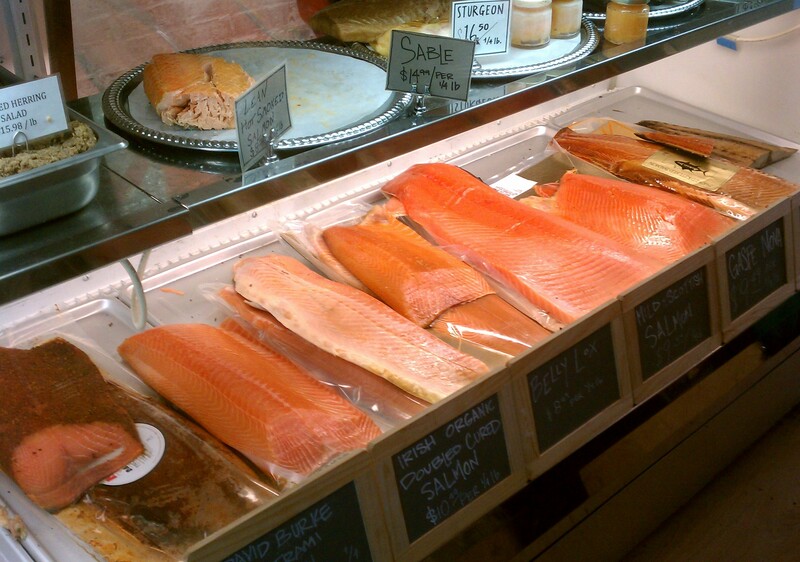 Store in an airtight glass bottle in refrigerator. 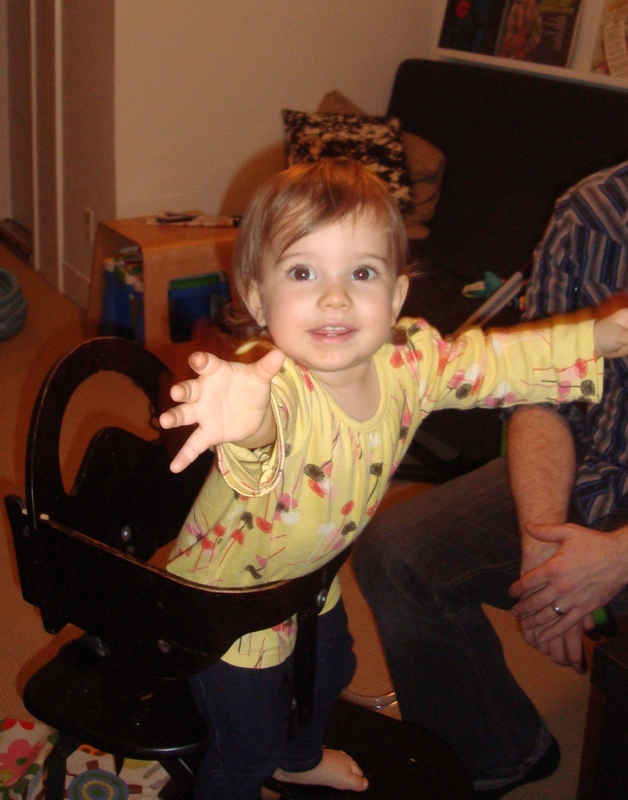 Top photo: Thursday’s dinner. 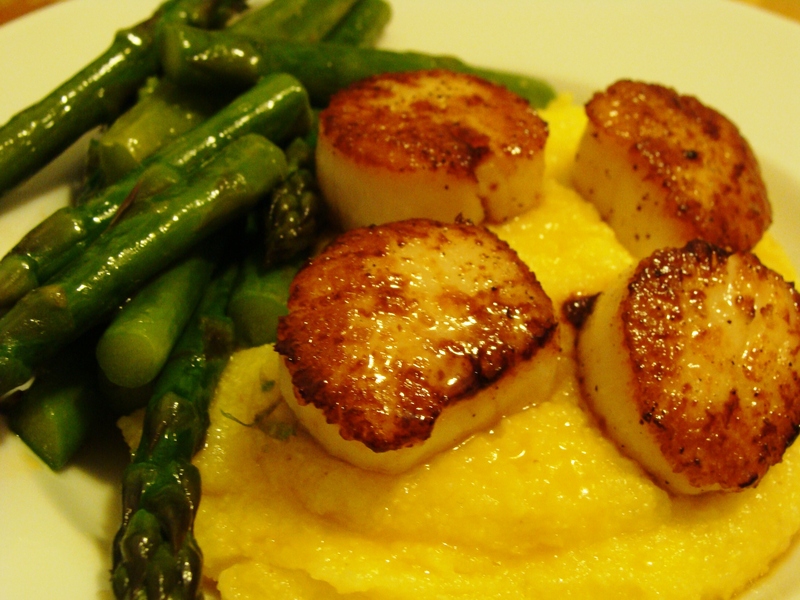 Seared Day Boat scallops (sweet & sustainable) with polenta and asparagus. Time commitment: 10 minutes–a 4-minute sear, a 6-minute steam, and a 5-min quick-cooking polenta. Tip: get a partner to stir the polenta while you sear and steam. Bottom photo: Saturday’s dinner. Take out from The Meatball Shop (Stanton and Allen). 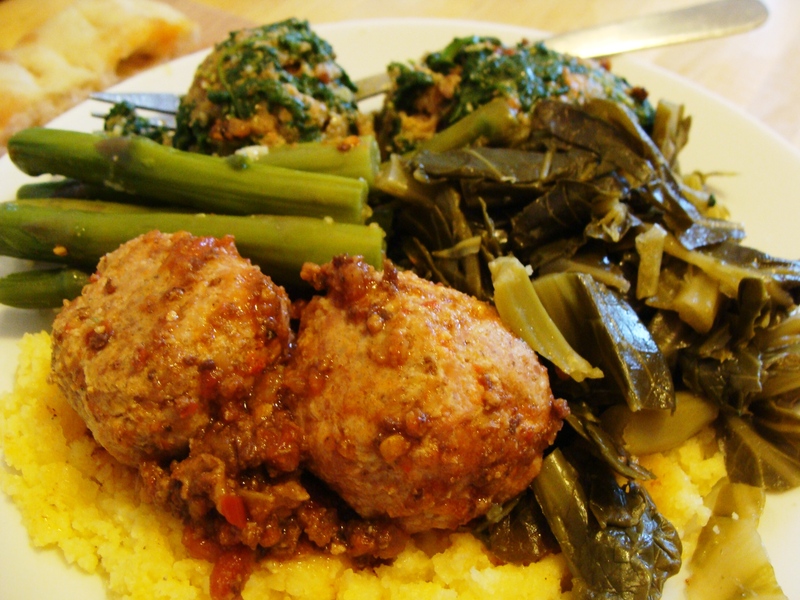 Includes the weekly special Bolognese balls in a pesto sauce, and spicy pork balls in a spicy meat sauce, and a side of braised collard greens. Added leftover polenta and asparagus from Thurs. Time commitment: about 2 minutes in the microwave. Tip: Be prepared for a really heavy plate and, quite possibly, more leftovers. Although the crispy fall air has already settled on Brooklyn, I’m honoring the final day of summer with photos from the last great beach weekend of ’09. Our small group met up in Brighton Beach, a seaside neighborhood in Brooklyn with a vibrant Russian community and boardwalk culture. The first stop was Cafe Glechik (3159 Coney Island Avenue), a Ukranian restaurant we hit up for vareniki (dumplings), smoked and pickled noshes, borscht and a flaky Napoleon layered with a caramel custard. Onward to the boardwalk and Cafe Volna (3145 Brighton 4th St) for beer–the Russian import Baltika. Surrounded by salty air, the native Russian tongue and men in track suits shooting vodkas, it was a poor-man’s vacation to the Black Sea. Our final stroll was down Brighton Beach Ave to locate a little piece of history. My grandma Florence lived in Brighton Beach as a child where her parents ran the grocery store, George’s Dairy, on Brighton 3 Street. At that time the neighborhood was predominantly Jewish. My Great-Grandmother Efrosina, “Nanny,” ran the store and spoke fluent Yiddish along with her native Romanian and about three other Eastern European languages. So we journeyed to Brighton 3 Street for some photos, and left with some Russian vodka.